Editor’s Note: Advanced Custom Fields and WooCommerce go head to head this week in Torque’s 2016 Plugin Madness championship round. Go to pluginmadness.com to vote now! The winner will be announced on April 12. Sound good? Then let’s get going, we have a lot to cover. You will soon see why. Yep, all of these are done with custom fields. Now do you start to see why this feature is so powerful? 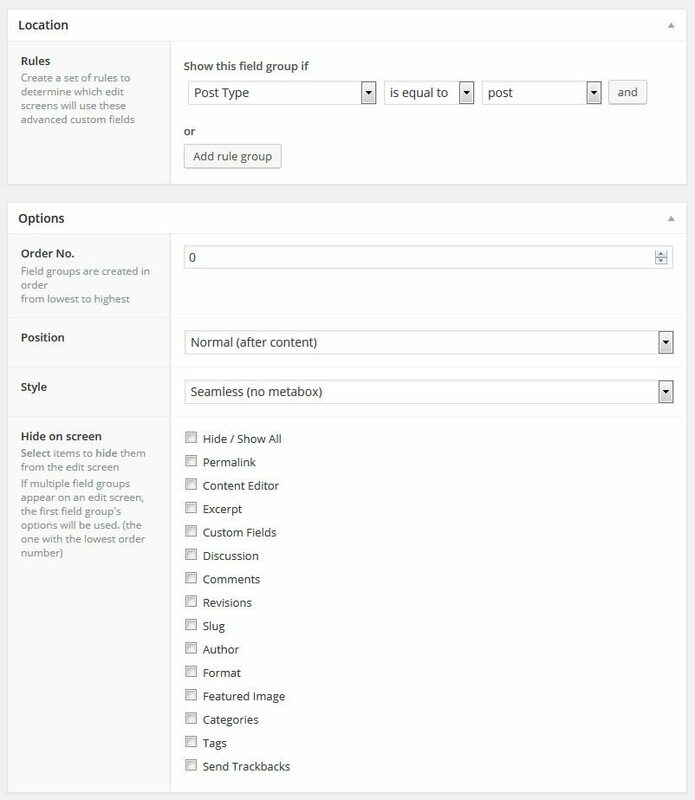 Advanced Custom Fields: Nav Menu Field — Adds a field for setting custom menus for posts and pages. To make the process easier to understand, I have come up with a concrete use case for the demonstration. 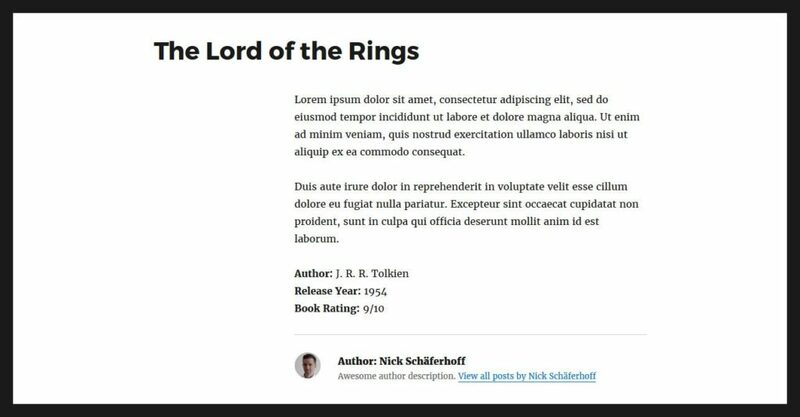 For this tutorial, I will create a group of custom fields for a post type called books that I use for — drumroll — book reviews. For example, all the information I want to add to my book reviews logically correlate and can therefore all go in one group. For now, however, just enter a name for your field group at the top. Me, I am going with Book Metadata. After that, we can move on to adding fields to the group. Field Name — Name used inside templates and code. Should automatically be populated with the label. No spaces allowed between words, only hyphens, and underscores. I make this field required because I definitely want authors to fill this in (and myself as well). Field Instructions: Please use the first and last name without any commas, e.g. “Stephen King, J.K. Rowling”. Field Instructions: Rate the quality of the book on a scale of one to ten. Since the rating scale is one to ten, it makes sense to limit the field to these numbers so nobody can input anything else. One you are done, you can close the fields to see the entire group. This also allows you to change the order of the items via drag and drop. For example, I decided I want to put the author to the top even though it’s not the first field I have created and I can easily do so. In my case, I want to limit my field group to my book post type, so will choose Post type > is equal to > books. I leave the rest as is for now. When done, hit Publish. After that, you can head on over to your custom post type to see if the new meta fields show up. In my case, they do. Alright, now all that’s left is to make your custom fields show up on your page. 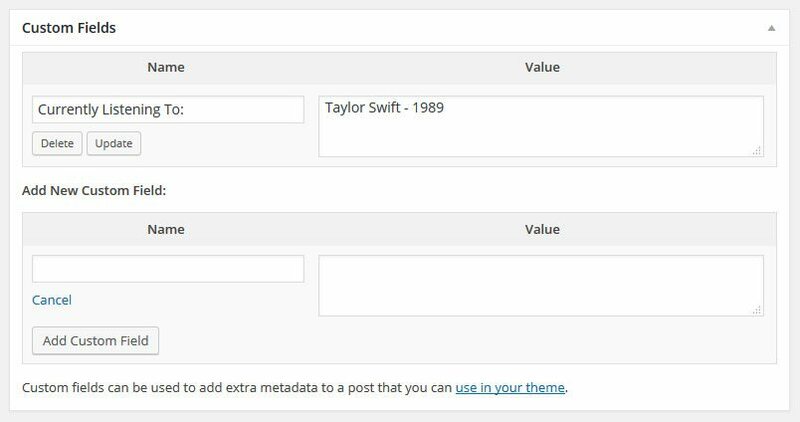 In order to do so, add a bit of test data and publish your post — it’s time to edit some theme files. Check the WordPress template hierarchy if you are not sure which is the right one for you. The hierarchy also tells me that in order to make a custom template for a single post type, I can rename the file to single-postname.php. Therefore, I will copy the template file and save it as single-books.php in my child theme folder. 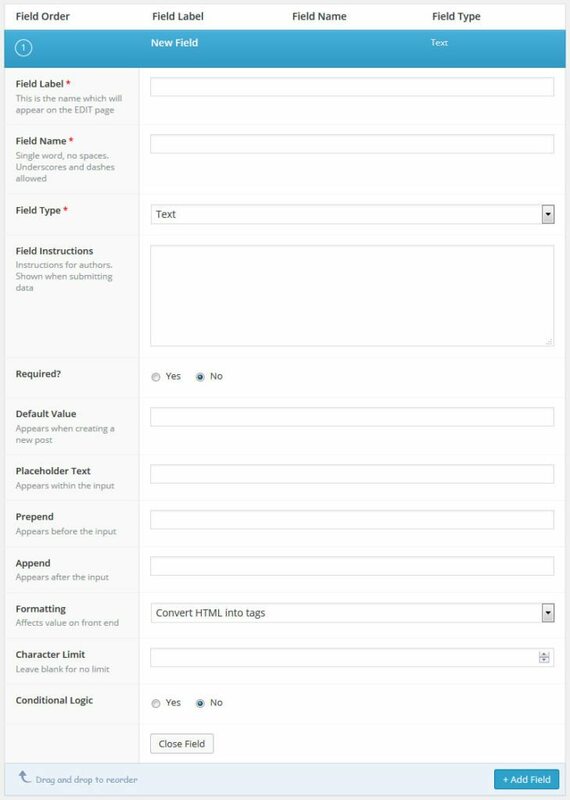 In this case, I will use the_field() which allows me to display custom fields for the current post. Now I only need to input it into my newly created post template where I want it to show up, add a little styling to my stylesheet, and voilá. Not so hard now, was it? Told you it would be a piece of cake. How Are You Going To Use Advanced Custom Fields? 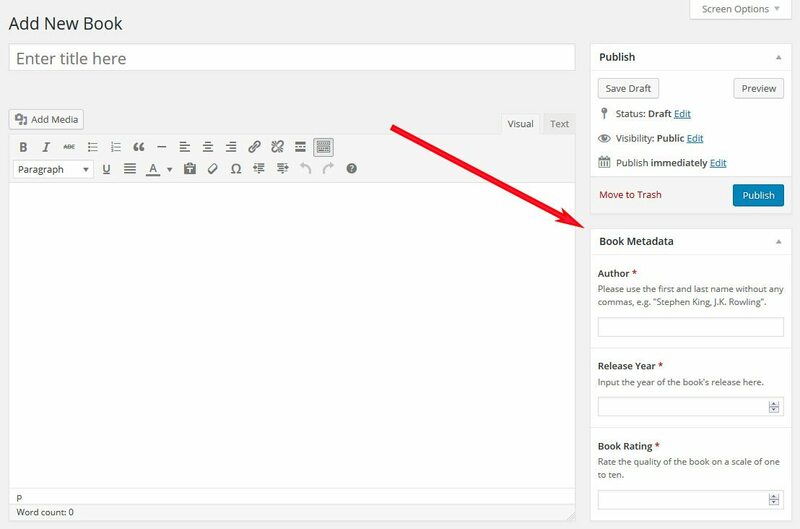 Custom fields make it really easy to extend your content in any way possible. 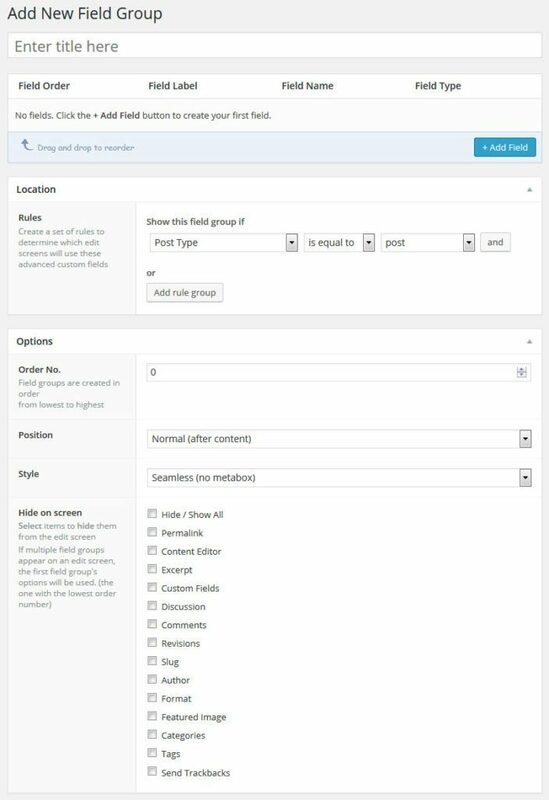 In combination with custom post types, they allow you to build exactly the site you need with exactly the data you want to display. While it can be an overwhelming topic, plugins like Advanced Custom Fields allow even beginners to use this powerful feature on their site and make it no harder than filling in a form. While there are other plugins out there with similar functionality, like Types and Pods, Advanced Custom Fields is a favorite among developers and for good reason. If you want to start working with custom fields, the information above is more than enough to get you started and let you customize your own and your clients’ websites in new and powerful ways. I can’t wait to hear what you are planning to do with it. Are you using Advanced Custom Fields? What for? Let us know in the comments section below!